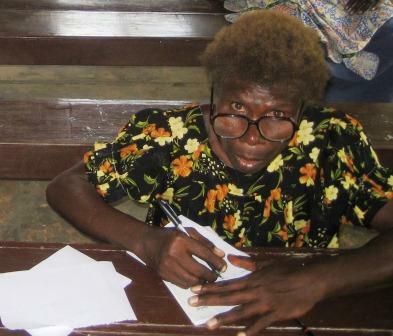 For the longest time Gertrude has been training to a number of ladies in the village to teach an adult literacy class. At long last they started a class the every Wednesday morning as part of the Ladies fellowship weekly meeting. It was well attended by 14 ladies with a few from other villages. There were two ladies from other villages who expressed interest receiving training so they could start literacy classes in their villages. By the time that we left for furlough they had completed 3 of the 12 classes. Please pray that they will be able to complete the full course for the ladies. There is also plans for them to do the same course for the men and young adults.